Jackson, WY (September 26, 2018) - The award-winning documentary Far Afield: A Conservation Love Story about Jackson Hole conservation icon Bert Raynes is available on Vimeo On Demand beginning today. Mr. Raynes was recently awarded the Murie Spirit of Conservation Award in recognition of his commitment to conservation, civility and community. Jennifer Tennican, the film's director/producer, was on hand at the Murie Ranch of Teton Science Schools and was inspired to expand the film's distribution to include video-on-demand or VOD. "The award reminded me of the importance of sharing Bert's story with people in our community and beyond," said Tennican. Bernie McHugh, the Secretary of the Jackson Hole Bird & Nature Club, said Far Afield is "a rare film with equal parts warmth, humor and genuine insight into its subject." Kevin Olson, publisher of the Jackson Hole News&Guide, described the documentary as “a gift to fans of Bert Raynes, feather-watchers, and conservationists everywhere. An admirable tale of one of the most likable characters around." Far Afield premiered in November 2015 to a sold-out audience at Jackson’s Center for the Arts. It was an official selection of the 2016 Big Sky Documentary Film Festival and the 2017 Wild & Scenic Film Festival. It was awarded “Best Conservation Film” at the 2016 Toronto Beaches Film Festival and the “Utopian Visions Award” at the 2015 Utopia Film Festival. The film was distributed by American Public Television with Wyoming PBS as the presenting station. Beginning September 26, the film can be accessed online at vimeo.com/ondemand/farafield. Video-on-demand has a smaller ecological footprint than manufacturing and distributing DVDs, and this method of distribution honors Mr. Rayne’s position as an advocate for environmental sustainability and conservation. The cost to purchase the high-definition documentary for online viewing anytime or download is $9.99. A 48-hr rental is $2.99. Both options give viewers access to six bonus features ranging from a “making of” spoof to an interview with Ben Winship, who composed the film's avian-inspired soundtrack. JenTen Productions, a member of 1% for the Tetons and 1% for the Planet, will donate 10% of the profits from VOD sales to the Meg and Bert Raynes Wildlife Fund. A small number of DVDs are still available through the Teton Raptor Center and the Jackson Hole Wildlife Foundation (JHWF). JHWF sales support Nature Mapping, a program of the Meg and Bert Raynes Wildlife Fund. Bert Raynes, 91 years old at the time of the filming, has been a conservation mentor to people of all ages and the writer behind the popular weekly Jackson Hole newspaper column “Far Afield” for more than three decades. His keen intellect, sharp wit, and encyclopedic knowledge of the flora and fauna of the Greater Yellowstone Ecosystem have long inspired his followers to observe and care about their wild neighbors. Raynes received the prestigious Murie Spirit of Conservation Award in August 2018 at the historic Murie Ranch in Jackson Hole. Mr. Raynes has also been recognized for his environmental advocacy work by the Wildlife Heritage Foundation, the National Museum of Wildlife Art, the Wyoming Chapter of the Wildlife Society, the Wyoming Game and Fish Department, the Jackson Hole Conservation Alliance and the Town of Jackson. “Bert is the personification of conservation in Jackson Hole. He is the connective tissue binding Jackson Hole’s extraordinary conservation history to its 21st century future,” observed Jonathan Schechter, Executive Director of the Charture Institute and 1% for the Tetons. Schechter brought the concept for this film to JenTen Productions and provided seed money for the film. Other seed funders included the Community Foundation of Jackson Hole, Wyoming Humanities Council and Center of Wonder. More than 230 individuals, families, organizations and businesses also provided financial support. The film’s Executive Producers include the Collister Family Donor Advised Fund, Friends of Bert, Ralph and Louise Haberfeld, Zach Hall and Julie Giacobassi, Dr. Bruce Hayse, Peter and Adrienne Ward, Jackson Hole News&Guide, National Museum of Wildlife Art, and The Nature Conservancy of Wyoming. 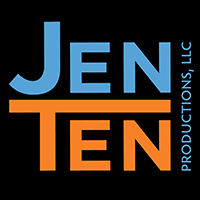 JenTen Productions is a Jackson, Wyoming documentary production company whose award-winning work focuses on community, cultural and social identities, conflict resolution and multigenerational connections. Charture Institute is a Jackson, WY think tank focused on growth, change, and sustainability in Places of Ecological and Aesthetic Significance (PEAS). Charture's mission is to help communities develop mechanisms for funding sustainability efforts. One Percent for the Tetons is a member-funded organization providing leadership and financial support to innovative conservation projects in the greater Tetons region. Jackson Hole Wildlife Foundation works with people and partners to reduce human-caused impacts on wildlife, improve wildlife movement corridors, and gather and disseminate wildlife observational data through a citizen science program. Teton Raptor Center advances raptor conservation through education, research and rehabilitation. Teton Science Schools teaches about the natural world and the Greater Yellowstone Ecosystem. Based in northwest Wyoming and southeast Idaho, the organization educates, trains and inspires thousands of children, youth and adults through the study of nature and place-based education.